This agreement applies as between you, the User of this Website and Ideal Forms, the owner(s) of this Website. Your agreement to comply with and be bound by these terms and conditions is deemed to occur upon your first use of the Website. If you do not agree to be bound by these terms and conditions, you should stop using the Website immediately. “Website”	means the website that you are currently using (http://www.idealforms.co.uk) and any sub-domains of this site (e.g. subdomain.) unless expressly excluded by their own terms and conditions. 2.1	Subject to the exceptions in Clause 3 of these Terms and Conditions, all Content included on the Website, unless uploaded by Users, including, but not limited to, text, graphics, logos, icons, images, sound clips, video clips, data compilations, page layout, underlying code and software is the property of Ideal Forms, our affiliates or other relevant third parties. By continuing to use the Website you acknowledge that such material is protected by applicable United Kingdom and International intellectual property and other laws. 2.2	Subject to Clause 4 you may not reproduce, copy, distribute, store or in any other fashion re-use material from the Website unless otherwise indicated on the Website or unless given express written permission to do so by Ideal Forms. This Website may contain links to other sites. Unless expressly stated, these sites are not under the control of Ideal Forms or that of our affiliates. We assume no responsibility for the content of such Websites and disclaim liability for any and all forms of loss or damage arising out of the use of them. The inclusion of a link to another site on this Website does not imply any endorsement of the sites themselves or of those in control of them. Those wishing to place a link to this Website on other sites may do so only to the home page of the site http://www.idealforms.co.uk without prior permission. Deep linking (i.e. links to specific pages within the site) requires the express permission of Ideal Forms. To find out more please contact us by email at sales@idealforms.co.uk. 7.2	You acknowledge that Ideal Forms reserves the right to monitor any and all communications made to us or using our System. 7.3	You acknowledge that Ideal Forms may retain copies of any and all communications made to us or using our System. 8.1	Use of the Website is also governed by our privacy-policy which is incorporated into these terms and conditions by this reference. Purpose: Anonymous site statistics to help us improve our site. 8.3	If you wish to opt-out of our placing cookies onto your computer or device, adjust your internet browser’s settings to restrict cookies as detailed in your internet browser’s help menu. You may also wish to delete cookies which have already been placed. For instructions on how to do this, please consult your internet browser’s help menu. 9.1	Ideal Forms makes no warranty or representation that the Website will meet your requirements, that it will be of satisfactory quality, that it will be fit for a particular purpose, that it will not infringe the rights of third parties, that it will be compatible with all systems, that it will be secure and that all information provided will be accurate. We make no guarantee of any specific results from the use of our Services. 9.4	Whilst every effort has been made to ensure that all graphical representations of products and / or descriptions of services available from Ideal Forms correspond to the actual products and / or services, Ideal Forms is not responsible for any variations from these descriptions. 9.5	Ideal Forms does not represent or warrant that such products and / or services will be available from us or our Premises. For this reason, please contact us prior to visiting if you wish to enquire as to the availability of any products and / or services. Any such enquiry does not give rise to any express or implied warranty that the products and / or services forming the subject matter of your enquiry will be available upon your arrival at our Premises. 9.6	All pricing information on the Website is correct at the time of going online. Ideal Forms reserves the right to change prices and alter or remove any special offers from time to time and as necessary. All pricing information is reviewed and updated every six months. 9.7	Whilst Ideal Forms uses reasonable endeavours to ensure that the Website is secure and free of errors, viruses and other malware, all Users are advised to take responsibility for their own security, that of their personal details and their computers. 10.2	Ideal Forms accepts no liability for any disruption or non-availability of the Website resulting from external causes including, but not limited to, ISP equipment failure, host equipment failure, communications network failure, power failure, natural events, acts of war or legal restrictions and censorship. 10.3	Ideal Forms reserves the right to alter, suspend or discontinue any part (or the whole of) the Website including, but not limited to, the products and/or services available. These Terms and Conditions shall continue to apply to any modified version of the Website unless it is expressly stated otherwise. 11.1	To the maximum extent permitted by law, Ideal Forms accepts no liability for any direct or indirect loss or damage, foreseeable or otherwise, including any indirect, consequential, special or exemplary damages arising from the use of the Website or any information contained therein. Users should be aware that they use the Website and its Content at their own risk. 11.2	Nothing in these terms and conditions excludes or restricts Ideal Forms liability for death or personal injury resulting from any negligence or fraud on the part of Ideal Forms. Nothing in these Terms and Conditions shall confer any rights upon any third party. The agreement created by these Terms and Conditions is between you and Ideal Forms. 15.1	All notices / communications shall be sent to us either by post to our Premises (see address above) or by email to sales@idealforms.co.uk. Such notice will be deemed received 3 days after posting if sent by first class post, the day of sending if the email is received in full on a business day and on the next business day if the email is sent on a weekend or public holiday. 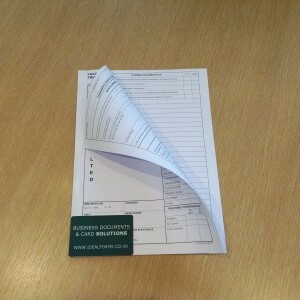 15.2	Ideal Forms may from time to time send you information about our products and/or services. If you do not wish to receive such information, please click on the ‘Unsubscribe’ link in any email which you receive from us.. These terms and conditions and the relationship between you and Ideal Forms shall be governed by and construed in accordance with the Law of England and Wales and Ideal Forms and you agree to submit to the exclusive jurisdiction of the Courts of England and Wales. This Policy applies as between you, the User of this Website and Ideal Forms the owner and provider of this Website. This Policy applies to our use of any and all Data collected by us in relation to your use of the Website. “Website”	means the website that you are currently using (http://www.idealforms.co.uk) and any sub-domains of this site (e.g. subdomain.idealforms.co.uk) unless expressly excluded by their own terms and conditions. This Policy applies only to the actions of Ideal Forms and Users with respect to this Website. It does not extend to any websites that can be accessed from this Website including, but not limited to, any links we may provide to social media websites. 3.11	a list of URLs starting with a referring site, your activity on this Website, and the site you exit to (automatically collected). 4.1	Any personal Data you submit will be retained by Ideal Forms for 2 years. 4.2	Unless we are obliged or permitted by law to do so, and subject to Clause 5, your Data will not be disclosed to third parties. This does not include our affiliates and / or other companies within our group. 5.1	Ideal Forms may, from time to time, employ the services of other parties for dealing with matters that may include, but are not limited to, payment processing, delivery of purchased items, search engine facilities, advertising and marketing. The providers of such services have access to certain personal Data provided by Users of this Website. 5.2	Any Data used by such parties is used only to the extent required by them to perform the services that Ideal Forms requests. Any use for other purposes is strictly prohibited. Furthermore, any Data that is processed by third parties shall be processed within the terms of this Policy and in accordance with the Data Protection Act 1998. 7.1	Ideal Forms may, from time to time, expand or reduce our business and this may involve the sale and/or the transfer of control of all or part of Ideal Forms. Data provided by Users will, where it is relevant to any part of our business so transferred, be transferred along with that part and the new owner or newly controlling party will, under the terms of this Policy, be permitted to use the Data for the purposes for which it was originally supplied to us. You have the right to ask for a copy of any of your personal Data held by Ideal Forms (where such data is held) on payment of a small fee which will not exceed £35.00. 11.1	Data security is of great importance to Ideal Forms and to protect your Data we have put in place suitable physical, electronic and managerial procedures to safeguard and secure Data collected via this Website. 12.2	By using this Website you may receive certain third party Cookies on your computer. Third party cookies are those placed by websites and/or parties other than Ideal Forms. Third party cookies are used on this Website for analyitics and are detailed in full below. These cookies are not integral to the services provided by the Website. 12.4	Before Cookies are placed on your computer, subject to sub-Clause 12.5, sub-Clause 12.6 and sub-Clause 12.9, you will be presented with a message bar requesting your consent to set those Cookies. By giving your consent to the placing of Cookies you are enabling Ideal Forms to provide the best possible experience and service to you. You may, if you wish, deny consent to the placing of Cookies; however certain features of the Website may not function fully or as intended. 12.5	This Website uses analytics services provided by Google Analytics. Website analytics refers to a set of tools used to collect and analyse usage statistics, enabling us to better understand how Users use the Website. This, in turn, enables us to improve the Website and the products and/or services offered through it. You do not have to allow us to use these Cookies, as detailed below, however whilst our use of them does not pose any risk to your privacy or your safe use of the Website, it does enable us to continually improve our business. Purpose To help us to improve our website. More Information These are cookies set on your machine by external websites whose services are used on this site. Cookies of this type are the sharing buttons across the site allow visitors to share content onto social networks. Cookies are currently set by Twitter and Facebook. In order to implement these buttons, and connect them to the relevant social networks and external sites, there are scripts from domains outside of our website. You should be aware that these sites are likely to be collecting information about what you are doing all around the internet, including on this website. You should check the respective policies of each of these sites to see how exactly they use your information and to find out how to opt out, or delete, such information. Ideal Forms reserves the right to change this Policy as we may deem necessary from time to time or as may be required by law. Any changes will be immediately posted on the Website and you are deemed to have accepted the terms of the Policy on your first use of the Website following the alterations. 2	By using this Website you may receive certain third party Cookies on your computer. Third party cookies are those placed by websites and/or parties other than Ideal Forms. Third party cookies are used on this Website for analyitics and are detailed in full below. These cookies are not integral to the services provided by the Website. 3	All Cookies used by this Website are used in accordance with current UK and EU Cookie Law. 4	Before Cookies are placed on your computer, subject to sub-Clause 12.5, sub-Clause 12.6 and sub-Clause 12.9, you will be presented with a message bar requesting your consent to set those Cookies. By giving your consent to the placing of Cookies you are enabling Ideal Forms to provide the best possible experience and service to you. You may, if you wish, deny consent to the placing of Cookies; however certain features of the Website may not function fully or as intended. 5	This Website uses analytics services provided by Google Analytics. Website analytics refers to a set of tools used to collect and analyse usage statistics, enabling us to better understand how Users use the Website. This, in turn, enables us to improve the Website and the products and/or services offered through it. You do not have to allow us to use these Cookies, as detailed below, however whilst our use of them does not pose any risk to your privacy or your safe use of the Website, it does enable us to continually improve our business. 9	You can choose to enable or disable Cookies in your internet browser. Most internet browsers also enable you to choose whether you wish to disable all cookies or only third party cookies. By default, most internet browsers accept Cookies but this can be changed. For further details, please consult the help menu in your internet browser. 10	You can choose to delete Cookies at any time however you may lose any information that enables you to access the Website more quickly and efficiently including, but not limited to, personalisation settings. 11	It is recommended that you ensure that your internet browser is up-to-date and that you consult the help and guidance provided by the developer of your internet browser if you are unsure about adjusting your privacy settings.